Richard’s in the driving seat….! 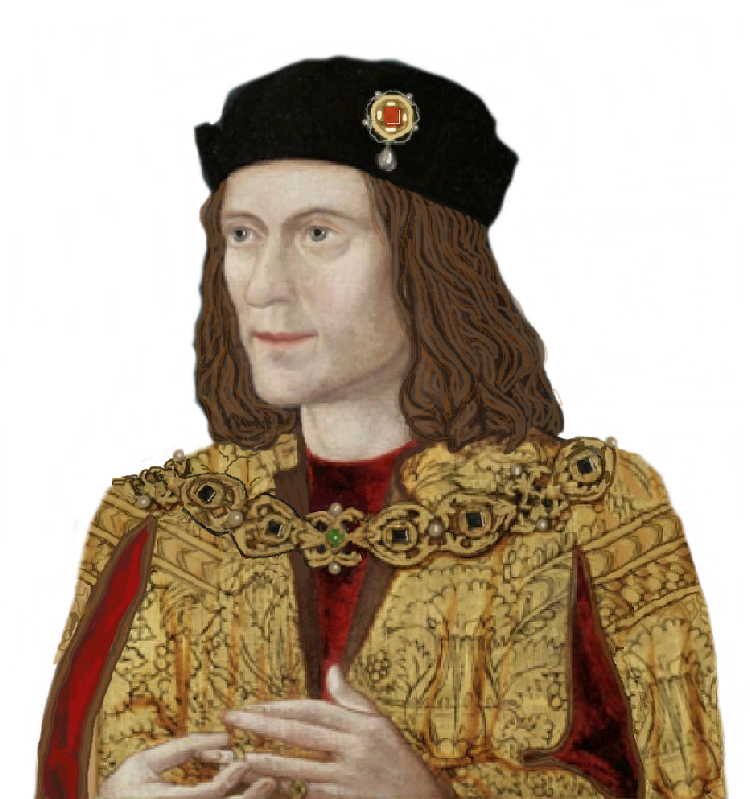 I can’t agree that Leicester is shamelessly “milking” Richard III for all he’s worth. On the contrary, it seems to me that it’s Richard in the driving seat, and Leicester is having to rush around to keep up with him! Not that Leicester is complaining. Why should they? Richard was an excellent king who knew what he was doing, so of course they bow to his commands! I would too. The above comments were inspired by this article. 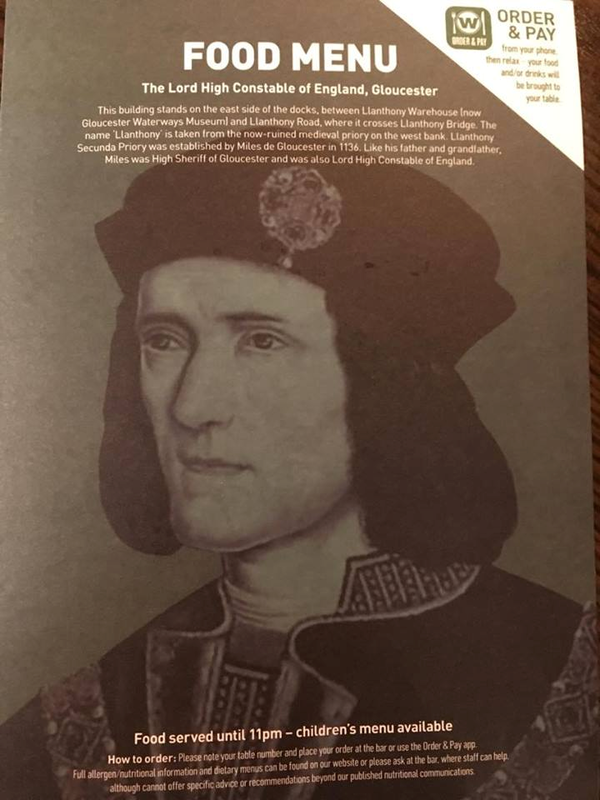 Wetherspoons now have two hostelries named after Richard, the other being The Lord High Constable of England, in my home city of Gloucester. Come on Wetherspoons, York, why not a Duke of Gloucester? Or a Good King Richard? The menu at Wetherspoons, Gloucester Docks. To see a list of all Wetherspoons, go here.